Intel today announced that its board of directors had named Robert Swan, its CFO and interim CEO, as its full-time chief executive officer. Mr. Swan will be the company’s first CEO with a financial background. As the head of the company, Mr. Swan will continue Intel’s transformation from a PC-centric to a data-centric company with a focus on improving the company's execution and aggressively capturing addressable markets using ambitious technologies. Robert Swan (58) has become the chief executive of Intel at a rather interesting, yet challenging time. The world is at a strategical inflection point when multiple technologies have to converge in a bid to enable the next phase of industrial and social development. To stay relevant, Intel not only needs to retain its leading position as a developer and maker of CPUs and compute platforms, but also gain new, important competencies. Meanwhile, the company is facing multiple challenges. Its traditional rivals are getting stronger (partly because they are forming alliances) and new competitors are emerging. In the meantime, Intel’s leadership in semiconductor production is now challenged and many of its opponents have certain advantages. Swan clearly understands the high-tech industry challenges and prospects at large, as well as the place of Intel going forward (see his letter on first day as CEO below). The world now generates and collects more data than ever before, which drives requirements for data transfer, storage, and processing capabilities. In addition, there are emerging opportunities like AI/ML, autonomous driving, computer vision, robotics, and others. To address these developing needs, Intel will have to further diversify its strategy and product portfolio. Meanwhile, coming from a background in finance, Swan is a bit of a departure from Intel's usual CEO track, as he has not previously been involved in making technology or strategy-related decisions. What is important here is that the new CEO of Intel believes that the company’s team “has the technical and strategic vision to shape technology’s future”, yet its “execution must improve”. This may indicate that he may leave decisions regarding technology to appropriate specialists while focusing on the overall business and its execution. Robert Swan, who is Intel’s 7th CEO in 50 years, joined Intel in October 2016. He is the first Intel CEO who is not the company’s veteran. That said, he has a vast experience of working at high-tech companies. Prior to Intel, he worked at General Atlantic, an equity investment firm, and before that he served as CFO at eBay. Throughout his career he has also worked at Electronic Data Systems, TRW, Webvan Group, and General Electric. 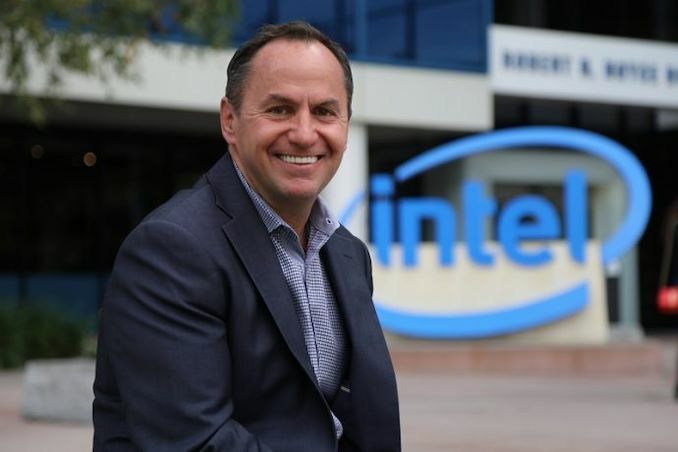 Todd Underwood, vice president of Finance and director of Intel’s Corporate Planning and Reporting, will act as interim CFO as the company starts an internal and external search for a permanent financial chief. Yup, great question. I wonder if someone without a technical background can successfully lead a semiconductor company. - They couldn't get anyone to take the job, so they're sticking with the interim CEO for an undisclosed amount of time.